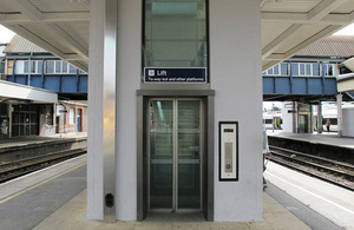 Over the next five years, upgrades such as footbridges and lifts will make it easier for disabled people to use the rail network, transport minister Nusrat Ghani has said. Other stations will see smaller scale improvements such as tactile paving on platform edges or adjustable ticket counters. The Department for Transport (DfT) said the improvements will be funded as part of its Inclusive Transport Strategy, published last year. However, the cash comes under the Access for All programme, which was launched in 2006 and previously funded up to the end of Control Period 5, i.e last month. Following nominations from the rail industry, stations were selected based on a range of criteria including footfall, weighted by disability in the area, value for money, and local factors such as proximity to a hospital. The stations were also chosen to represent 'a fair geographical spread across the country', officials said. The DfT said that 75% of rail journeys are now made through step-free stations. However, this may reflect the fact that disabled travellers avoid inaccessible stations. Officials said that since Access for All was launched it has delivered more than 200 accessible routes into selected stations. Keith Richards, chair of the Disabled Persons Transport Advisory Committee, said: ‘The Access for All programme has already delivered significant improvements in access to rail travel for disabled people over the last 13 years. It’s crucial to continually build on that.